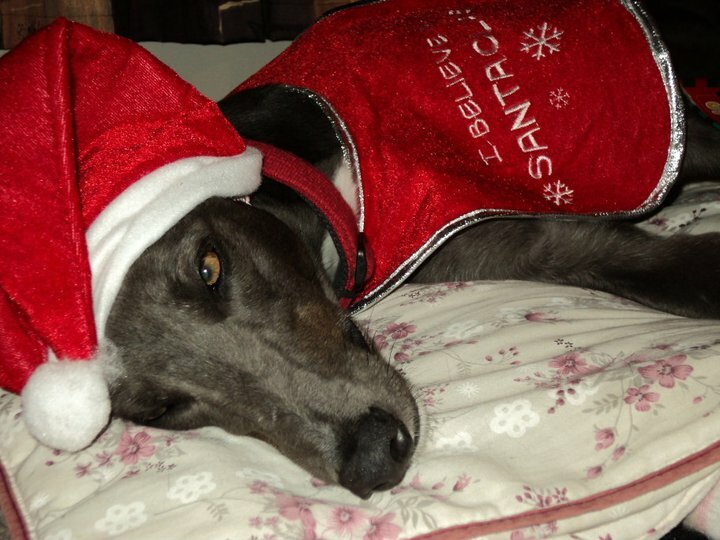 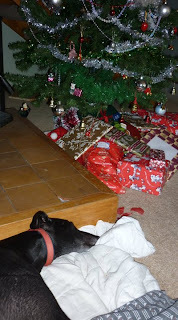 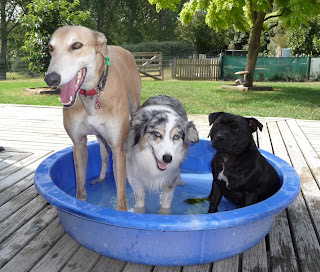 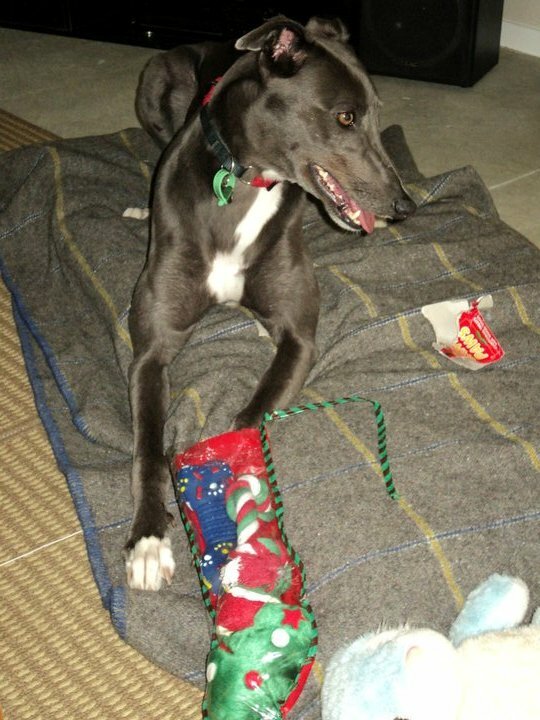 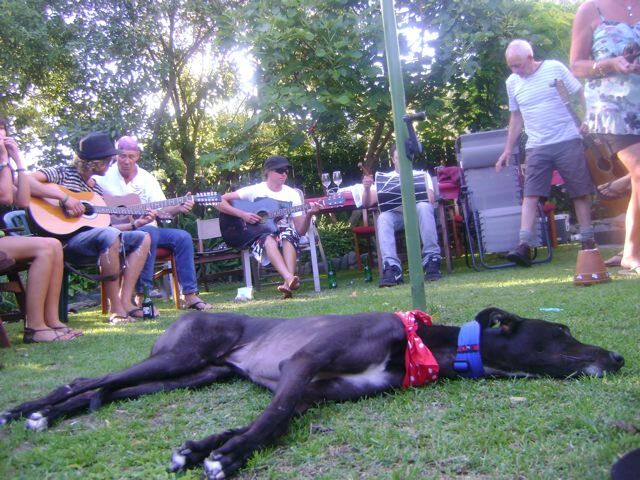 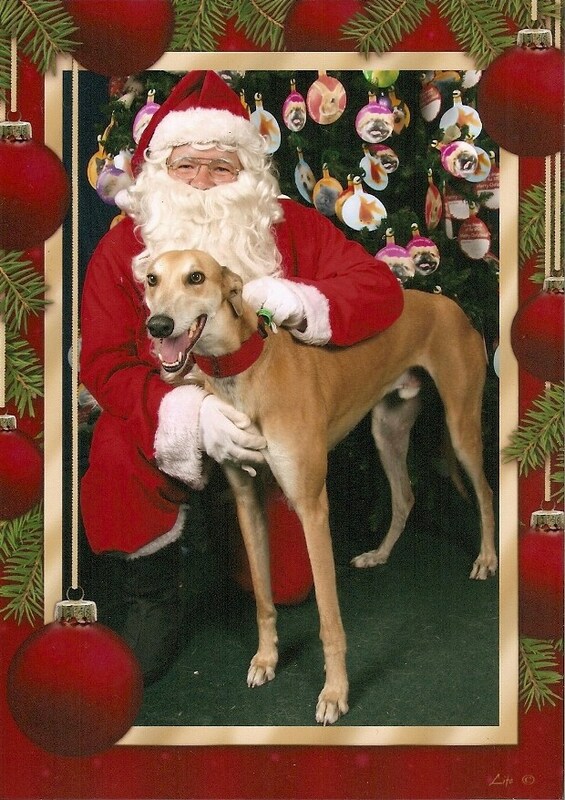 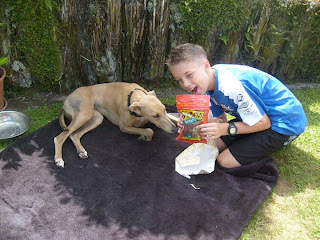 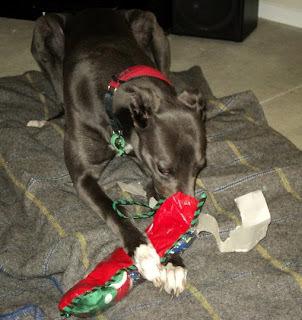 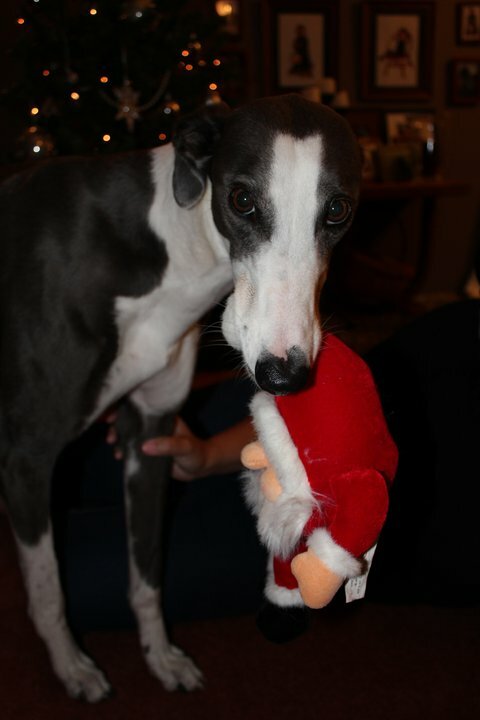 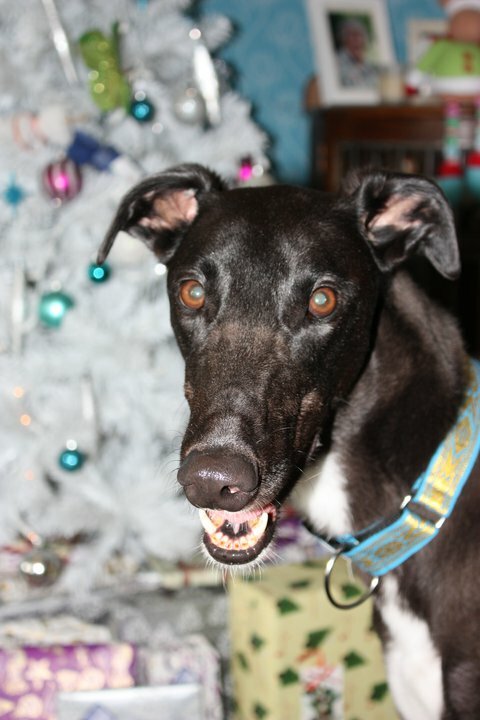 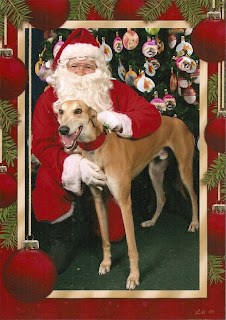 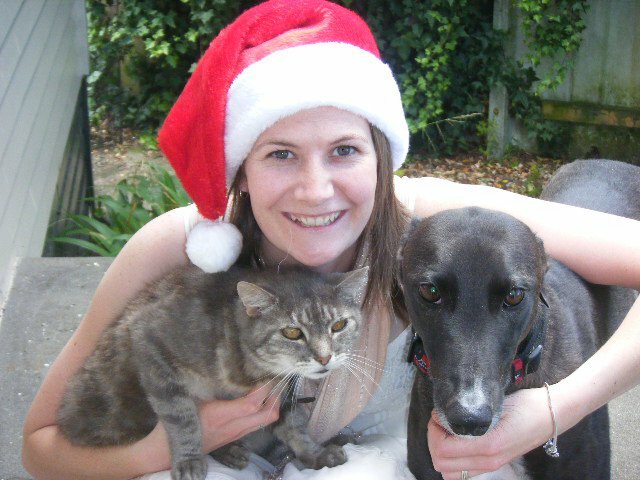 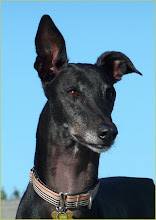 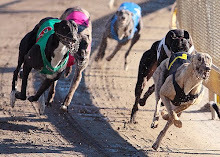 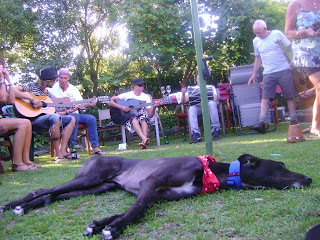 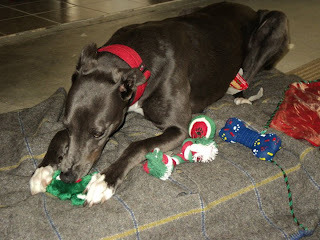 I received a number of gorgeous pictures of greyhounds at Christmas - have to share them here, they are all so cute! 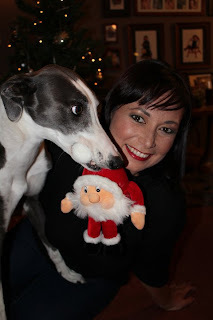 Enjoy , Merry Christmas and Happy New Year! 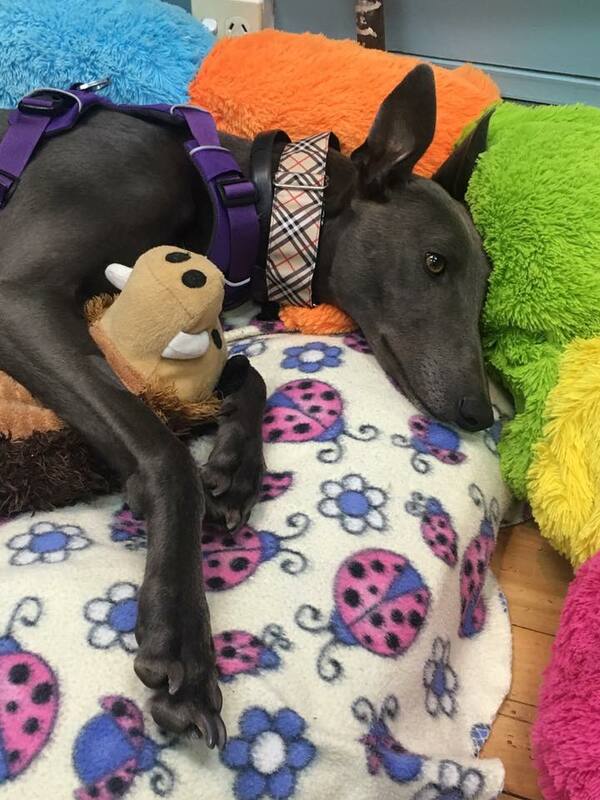 Bella (Bouncen Blitzem) waiting too! 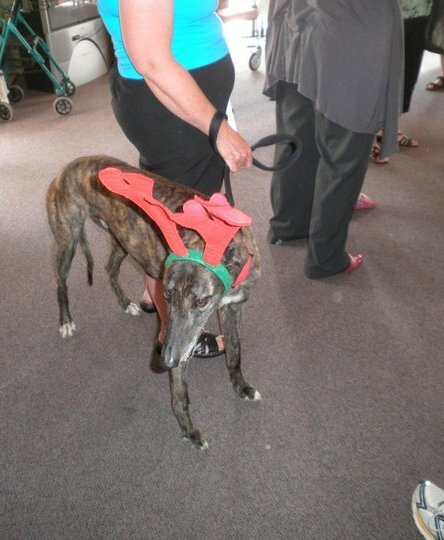 Abby (Patricia Sherry) not happy with her Xmas attire! 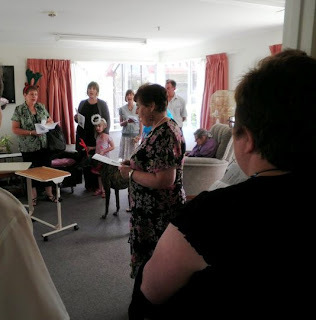 Jill (Most Excused) : Santa in greyt trouble!